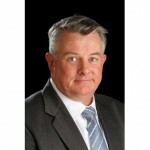 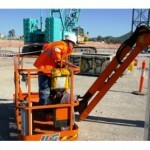 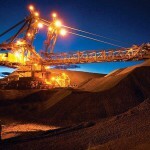 Royalties hike to hurt quarry operators in SA (0) July 2, 2014 ​The new state budget in South Australia has attracted some criticism over ​an increase in mining royalties. 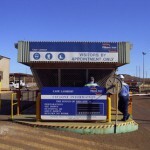 Risk management failures to blame for Cobar mine death (0) July 2, 2014 Ineffective risk management controls have been found to have contributed to the death of a worker at Glencore’s CSA Copper mine. 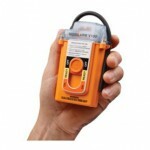 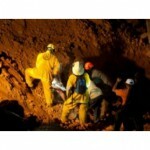 ​New mine rescue manual launched (0) July 2, 2014 Mines Rescue has released a new manual dubbed Mines Rescue, Gas Detection and Emergency Preparedness. 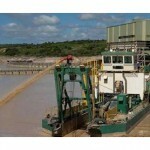 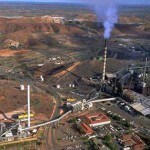 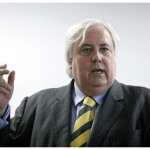 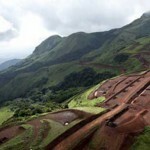 ​Vale threaten to leave international mining body over Rio Tinto lawsuit (0) July 2, 2014 Vale has threatened to leave the International Council on Mining and Metals as tensions rise between it and Rio Tinto over the brewing Simandou lawsuit. 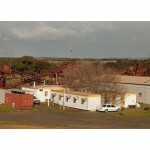 Mining rehab contributions become mandatory in WA (0) July 2, 2014 Western Australia has implemented mandatory contributions to the Mining Rehabilitation Fund, effective July 1. 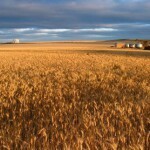 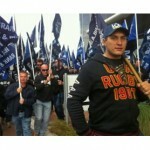 Western Australian ministers gain power to dispute strike action (0) July 1, 2014 C​hanges to the Fair Work syste mthis week will allow a minister, or third party impacted by strike action, to apply to suspend or terminate that action. 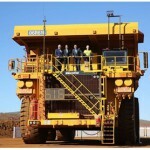 Edit: Construction long service leave levy reduced (0) July 1, 2014 Resource companies will no longer be levied for long service leave in relation to operational mining work, thanks to changes made by the Newman Government. 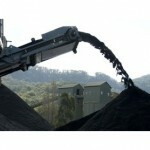 Whitehaven Coal looks to hire 450 workers for Maules Creek mine (0) July 1, 2014 Whitehaven Coal is getting ready to hire the 450 workers it will need to run the controversial Maules Creek coal mine. 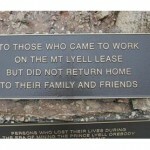 Rock fall delays Mount Lyell by months (0) July 1, 2014 ​Mount Lyell copper mine has faced further delays to its reopening, due to a rockfall in the ventilation shaft. 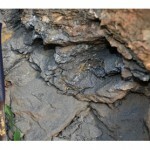 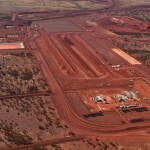 WorleyParsons iron ore contract suspended (0) July 1, 2014 WorleyParsons’ Kami iron ore EPCM contract has been temporarily suspended. 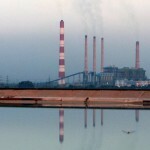 Voluntary redundancy accepted by 109 Nifty copper mine workers (0) July 1, 2014 109 workers at Aditya Birla’s Nifty copper mine have accepted voluntary redundancies after a cave-in at the site has left operations suspended since March. 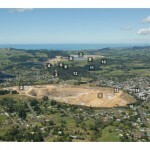 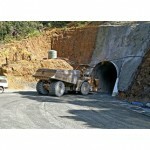 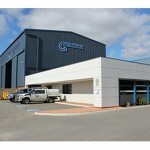 Macmahon wins Waihi gold mine contract extension (0) July 1, 2014 Macmahon has won a two year extension for its current work at Newmont’s Waihi gold mine in New Zealand. 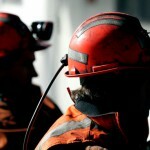 Disturbing trend in mining fatalities (0) July 1, 2014 In financial year 2013-14 the Australian mining industry has seen 17 people fall in the line of duty, the victims of tragic accidents. 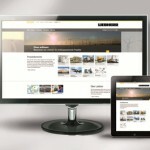 Liebherr launches new global website (0) July 1, 2014 Liebherr has launched a new global website portal that is more interactive and provides more equipment information. 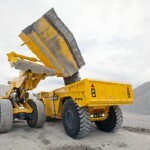 Atlas Copco unveil side bucket version of Scooptram loaders (0) June 30, 2014 Atlas Copco has released a new side dump bucket as an option for its Scooptram loaders. 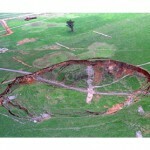 $8.7 million spent on subsidence in the Hunter (0) June 30, 2014 Severe mine subsidence damage has cost the state of New South Wales $8.7 million in the last five years. 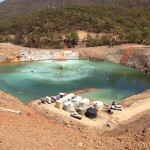 Virtual Curtain turns mining wastewater into rainwater (0) June 30, 2014 A new cost-effective technology to treat mining wastewater and reduce sludge by up to 90 per cent has been used for the first time at a commercial mine. 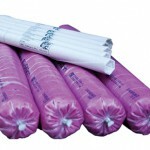 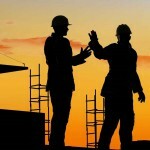 Engenco to sack 55 workers (0) June 30, 2014 ​Engineering services group Engenco Limited has today announced 55 workers will be made redundant amid project postponements and cancellations. 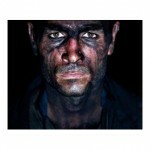 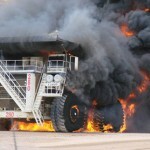 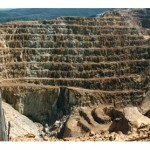 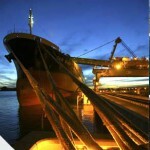 Australia has more mining deaths than Iran! 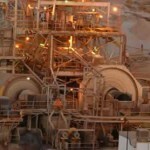 (1) June 30, 2014 Does Iran have a safer mining industry than Australia? 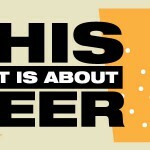 The statistics say yes. 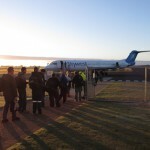 Forensic specialists flown in to find Brett Kelly (0) June 30, 2014 Forensic specialists have arrived in Mount Isa to assist in recovering the body of missing miner Brett Kelly. 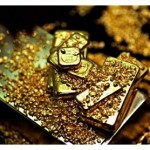 OceanaGold announces corporate credit facility refinancing (0) June 30, 2014 ​OceanaGold has completed its arrangement for a $200 million corporate revolving credit facility. 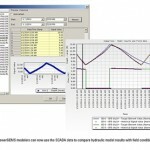 Leica launches new slope monitoring system (0) June 30, 2014 Leica Geosystems has revealed its new GeoMoS Now web-based slope monitoring application. 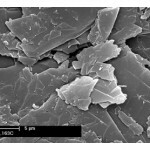 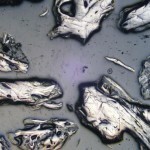 New developments in Graphene research from Adelaide University (4) June 27, 2014 ​Graphene research funding to the University of Adelaide is paying off, with two new papers recently presented at the Nanotech USA Conference. 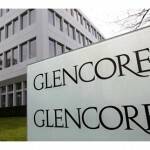 UPDATE: ​Glencore accused of not paying tax for three years (0) June 27, 2014 Glencore has been accused of paying almost no tax in Australia over the last three years, whilst earning around $15 billion globally. 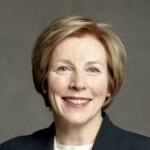 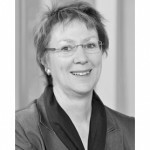 First female director a history-making moment for Glencore (0) June 27, 2014 Glencore has made history by appointing its first ever female board director. 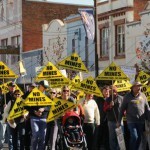 400 people march in protest against Shenhua’s Watermark Coal project (0) June 27, 2014 Shenhua’s Watermark Coal project headed to the Planning Assessment Commission this week as more than 400 people took part in a protest march against the massive new coal mine. 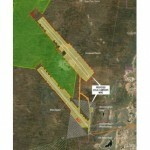 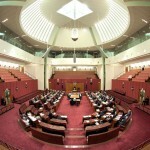 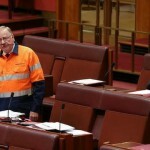 Mining in Woomera well received by Federal Parliament (0) June 27, 2014 The Woomera Prohibited Area is a step closer to being opened up for mining, as a new bill passed through the Senate yesterday to amend Defence legislation. 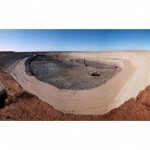 OTOC wins Roy Hill mine contract (0) June 27, 2014 OTOC has won the contract for work on the Roy Hill iron ore mine’s processing plant. 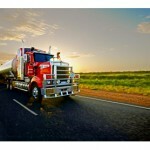 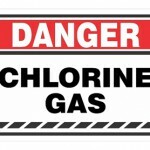 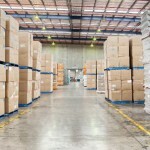 Trucking company fined $31,000 for dangerous goods breaches (0) June 27, 2014 ​Carriers of dangerous goods on Western Australian roads have been given a warning to adhere to high safety standards. 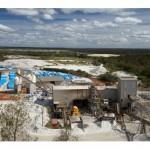 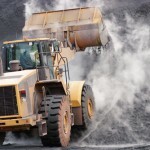 Iluka Resources moves on Irish sand miner (0) June 27, 2014 Australian mineral sands miner Iluka has confirmed it is moving towards a takeover of Kenmare Resources. 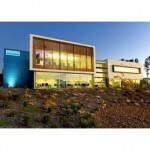 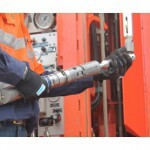 Sandvik to move manufacturing offshore (0) June 27, 2014 Sandvik has announced it will move the majority of its Australian manufacturing operations offshore over the next 12 months. 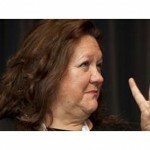 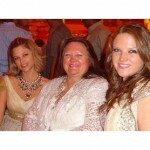 Rinehart retains top role on BRW richest list (0) June 26, 2014 ​Gina Rinehart is still the richest person in Australia, taking pole position on the 2014 BRW Rich 200 list, albeit with a slightly dwindled bank account. 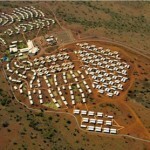 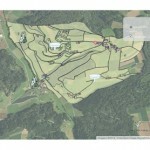 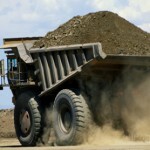 PPK sells site to make more mining acquisitions (0) June 26, 2014 PPK Group has sold its Arndell Park property to make more mining services acquisitions. 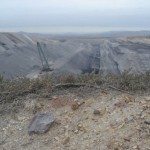 PAC hearing into Glencore’s Bulga coal expansion continues (0) June 26, 2014 The NSW Department of Planning has been accused of being “hopelessly biased” towards the mining industry in a PAC public hearing. 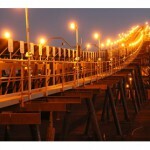 Clough wins collapsed Forge Rio Tinto contract (0) June 26, 2014 Clough has been awarded Rio Tinto’s Cape Lambert power station contract following former contractor Forge Group’s collapse. 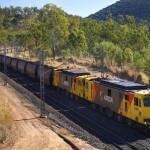 Aurizon announces further job cuts (0) June 26, 2014 ​Rail operator Aurizon announced further redundancies yesterday, with 103 positions axed mainly from their head office in Brisbane. 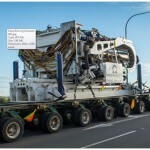 Nautilus’ underwater miner begins construction (0) June 26, 2014 Nautilus Minerals seafloor miner’s cutter has begun assembly this week. 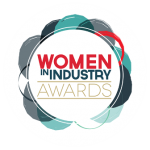 2014 Women in Industry Awards: The Winners (0) June 26, 2014 Over 150 people turned out for the inaugural 2014 Women in Industry Awards on Wednesday night where ladies from across the mining, manufacturing and engineering sectors were rewarded and recognised. 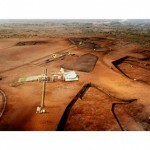 Glencore commission its Ernest Henry mine shaft hoist (0) June 25, 2014 Glencore has begun hoisting at its new Ernest Henry underground operations near Cloncurry. 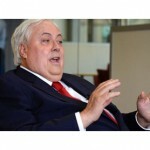 WA premier and AMEC slam TAI report (0) June 25, 2014 A report issued by The Australia Institute which outlines the value of State-based subsidies to the mining industry has stirred a proverbial hornet’s nest. 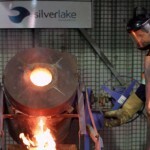 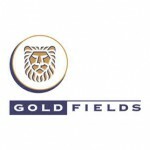 Jobs cut at St Ives gold operation (0) June 25, 2014 ​Another blow to Western Australia’s mining workforce has been dealt, with 56 workers laid off at the St Ives mine near Kambalda. 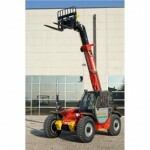 New underground utility vehicles launched (0) June 25, 2014 Manitou has launched a new series of underground mining telescopic handlers. 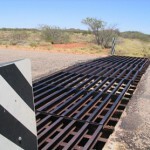 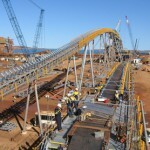 FMG Iron Bridge approval dependent on EPA criteria (0) June 25, 2014 ​Fortescue Metals is a step closer to the start of construction on the Iron Bridge expansion project, having received conditional approval from the EPA. 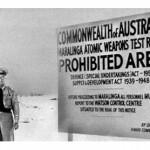 Nuclear waste is safe to store in our suburbs, not just the bush (0) June 25, 2014 As the Muckaty Station option for nuclear waste is rejected, what is the next step for long term nuclear waste disposal? 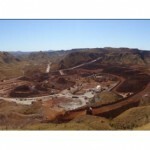 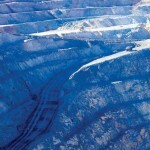 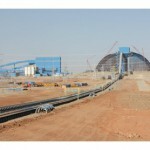 Tax dispute arises between Rio Tinto and Mongolia (0) June 24, 2014 ​Rio Tinto’s company in Mongolia has been accused of evading taxes and penalties payments related to the Oyu Tolgoi copper and gold mine. 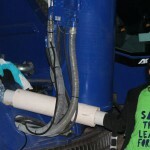 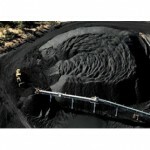 Activist who shut down Idemitsu’s Boggabri mine fined $300 (0) June 24, 2014 An activist who shut down Idemitsu’s Boggabri coal mine after scaling a coal loader on site has been fined $300 and placed on a good behaviour bond. 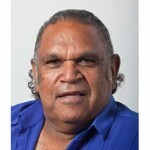 “Aboriginal” art stopping coal expansion found to be phony (0) June 24, 2014 ​A hand-stencil painting used as evidence of aboriginal art threatened by a coal mine extension has been found to be no older than three and a half years. 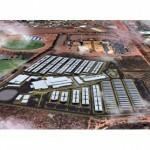 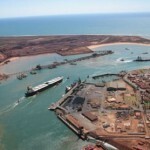 Leighton to cut contractors at Fortescue’s Solomon Hub (0) June 24, 2014 Leighton Contractors will cut more than 100 contractors from its operations at FMG’s Solomon Hub. 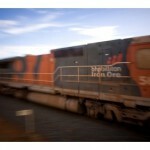 Iron ore jobs in the firing line as BHP review continues (0) June 24, 2014 An ongoing review at BHP Billiton’s iron ore operations could see thousands of jobs lost in Western Australia. 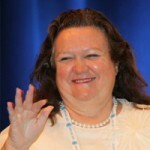 Hancock family trust dispute could lead to Hope Downs buyout (0) June 24, 2014 Bianca Rinehart will appear in the NSW Supreme Court today to explain why she should replace her mother as trustee of the family trust. 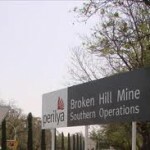 Production recommences at Mt Isa Mine as recovery of missing miner’s body continues (0) June 24, 2014 Police say rock falls in an orepass are hampering efforts to recover Brett Kelly’s body from Mt Isa Mine. 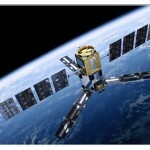 New eye-in-the-sky to combat illegal mining in Peru (0) June 24, 2014 Peru has taken the battle against illegal mining into outer-space, using their French-built Astrosat-300 to carry out surveillance across the country. 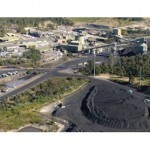 “I’ve never seen it this bad”: coal job losses hurt Hunter Valley businesses (0) June 23, 2014 The Singleton Chamber of Commerce said mass layoffs in Hunter Valley’s mining sector have left the region reeling, with business conditions at an all-time low. 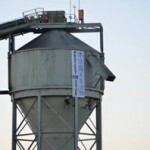 EBA secret ballot assured at Mt Arthur Coal (0) June 23, 2014 ​Concerns about the secrecy of ballots at the Mt Arthur coal mine have been answered by the out-sourced ballot overseer, Corpvote. 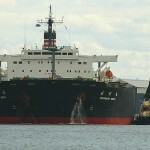 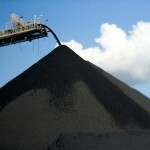 Dudgeon Point Coal Terminal cancelled (0) June 23, 2014 Poor conditions in the coal industry continue to hamper mining developments as North Queensland Bulk Ports cancels its Dudgeon Point Coal Terminal project. 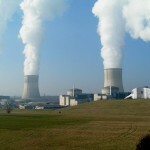 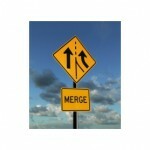 GE to acquire Alstom’s energy business (0) June 23, 2014 GE will acquire Alstom’s Power and Grid business for AUD$ 17.87 billion. 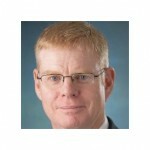 St Barbara appoints new CEO (0) June 23, 2014 St Barbara has appointed Bob Vassie as its new CEO and managing director. 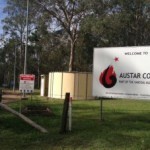 Missing miner believed to have fallen into an orepass (0) June 23, 2014 Police said a man who went missing at Glencore’s Mt Isa Mines is believed to have fallen into an orepass. 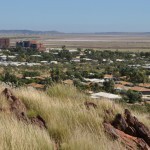 Search for missing Mt Isa miner called off (0) June 21, 2014 Glencore has officially ended the search for a miner who went missing at its Mt Isa mine on Wednesday. 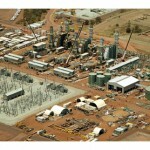 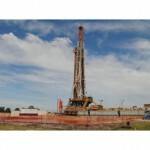 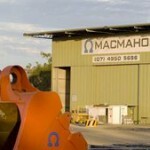 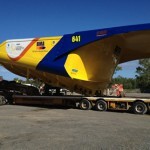 Biggest raise bore rig mobilised to Olympic Dam (0) June 20, 2014 ​Macmahon Holdings have secured two new contracts for drilling at Olympic Dam, and mobilised the world’s most powerful raise drilling rig to do the job. 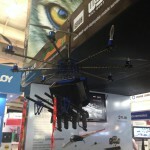 South African miner buys ‘riot control’ drone (0) June 20, 2014 An unnamed South African miner has bought 25 pepper–spraying, paintball shooting, blinding laser firing flying drones known for their riot control capacities. 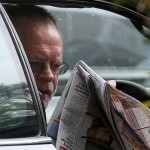 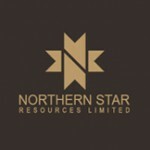 Newcrest analysts in the spotlight amidst secret briefings saga (0) June 20, 2014 Analysts involved in the Newcrest secret briefing saga could face years in jail if the corporate watchdog decided to take them to court. 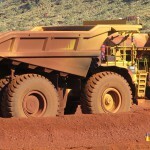 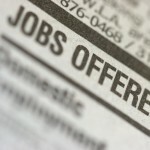 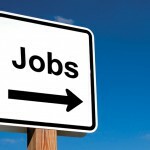 Mining industry suffers job losses, but SA and NT forging the way forward (0) June 20, 2014 Employment figures from ABS have revealed 6600 mining jobs lost nationwide in the quarter to May, despite gains in the states. 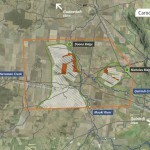 Prospectors warned to be safe, use PBL and GPS (0) June 20, 2014 ​Prospectors have been warned to observe safety precautions before heading out bush this winter, and carry a Personal Locator Beacon. 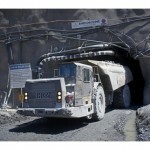 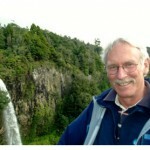 New Zealand coal mine gets a greenlight (42) June 20, 2014 Australian miner Bathurst Resources has been given approvals for its Escarpment open cut coal mine in New Zealand. 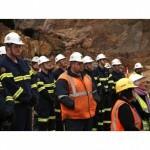 Underground mine search continues for missing Glencore worker (0) June 19, 2014 Glencore is continuing the search for a worker who went missing at its Mount Isa Mine’s copper operations more than 30 hours ago. 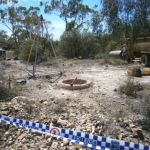 Boggabri death investigation report released (0) June 19, 2014 ​The NSW mines safety investigation unit has released their report into the death of a worker at the Boggabri mine last month. 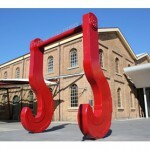 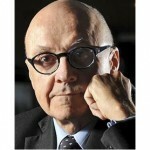 Asciano to slash 500 jobs by the end of June (0) June 19, 2014 Rail and ports company Asciano will slash 500 jobs by the month’s end as it aims to save $90 million. 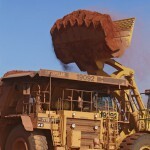 Lowest iron ore price in 21 months (0) June 19, 2014 ​Boom-time iron ore expansion and falling Chinese demand is continuing to take its toll on the industry, as the Tianjin price dropped below the $US90 mark. 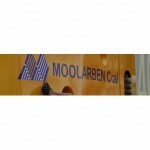 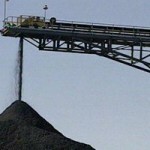 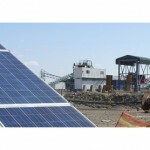 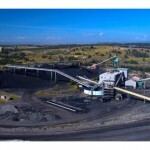 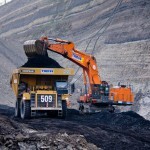 ​Yancoal’s Moolarben coal mine gets approvals (0) June 19, 2014 Yancoal has received approvals for the expansion of its operations at the Moolarben coal mine. 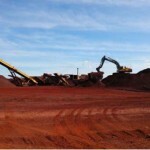 Cairn Hill mine falls victim to iron ore price fall (0) June 19, 2014 ​The decline in the iron ore price has been blamed for a decision by the board of directors of Termite Resources to put the company into administration. 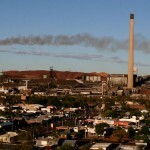 Underground worker goes missing at Glencore’s Mt Isa Mines (0) June 19, 2014 A 34-year-old man has gone missing while working underground at Glencore’s Mt Isa Mines. 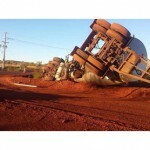 Truck rollover at Yandi (0) June 18, 2014 A truck and semi-trailer rolled over near the BHP Billiton Yandi site on Monday. 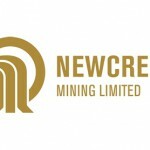 Newcrest admits to continuous disclosure breaches, fined $1.2 million (0) June 18, 2014 Newcrest will pay at least $1.2 million in fines, admitting it failed continuous disclosure obligations after the miner briefed analysts on its market position before making a public announcement. 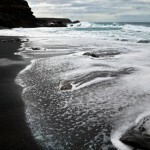 NZ EPA refuses consent for undersea iron sands mining (0) June 18, 2014 The New Zealand EPA today revealed they would not give approval for Trans Tasman to mine undersea iron sands in the South Taranaki Bight. 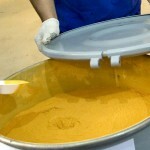 Stake in uranium mine for sale as prices dive (0) June 18, 2014 Alliance Resources is selling its 25 per cent stake in a brand new uranium mine as the value of yellow-cake continues its downward trend. 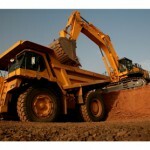 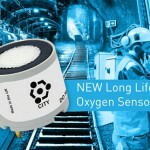 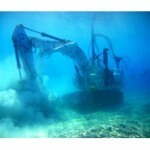 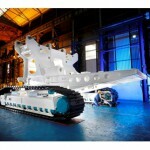 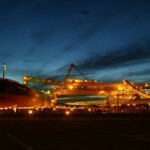 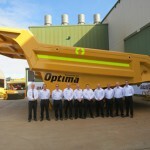 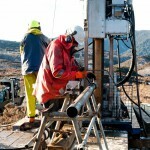 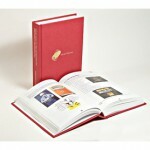 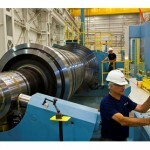 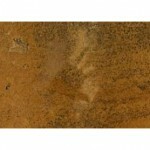 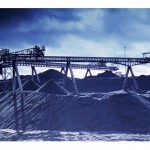 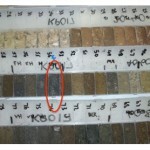 ​Sandvik signs L.O.I. 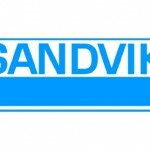 with Chinese manufacturer (0) June 18, 2014 Sandvik has signed a letter of intent with China’s ZhuZhou Cemented Carbide Group to form a joint venture. 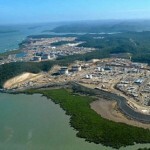 Adani forced to wait longer for Carmichael coal mine approval (0) June 18, 2014 Approval for Adani’s massive Carmichael coal mine in Queensland’s Galilee Basin has been delayed by the Federal Environment Minister Greg Hunt who wants more time to assess the project. 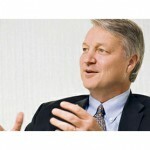 St Barbara CEO resigns (0) June 18, 2014 St Barbara CEO Tim Lehany has resigned suddenly, and will leave the company at the end of this month. 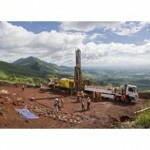 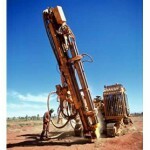 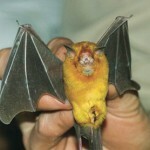 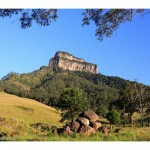 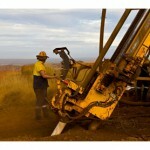 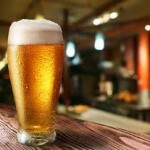 Queensland wants to be top of the exploration game (0) June 17, 2014 ​Queensland has plans to become Australia’s leading exploration state, according to a report released today by MACE. 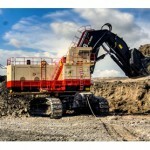 EPA to reach decision on New Zealand iron sands sea-bed mining (0) June 17, 2014 ​A world first in underwater commercial metals mining may be just around the corner, with New Zealand on the verge of giving the green-light this week. 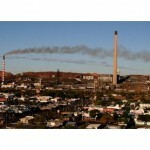 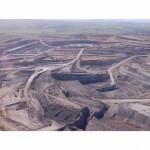 ​New poll shows support for Rio Tinto coal mine expansion (0) June 17, 2014 A new poll has shown support for the expansion of Rio Tinto’s Mt Thorley Warkworth coal mine. 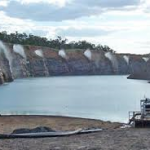 New mining jobs in NSW mineral sands project (3) June 17, 2014 ​A new mineral sands mine has been approved in the NSW shire of Balranald, with hundreds of workers needed for construction and operation. 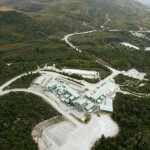 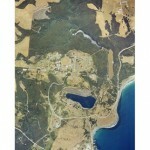 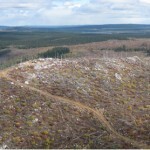 ​King Island tungsten mine gets greenlight (0) June 17, 2014 The Tasmanian Government has approved plans to reopen the closed King Island scheelite and tungsten operations on King Island. 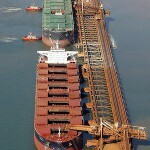 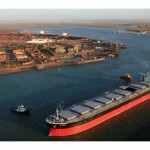 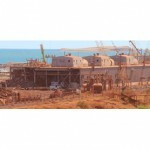 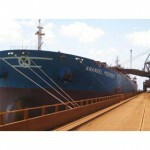 FMG signs contract to build new iron ore ships (0) June 16, 2014 Fortescue has signed a contract to construct four new ‘very large ore carriers’. 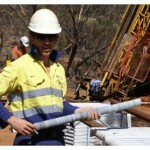 Mine restart to create 50 new jobs in Queensland (940) June 16, 2014 The reopening of an ilmenite mine in North Queensland could lead to the creation of 50 new jobs after it was bought by a Canadian mining company. 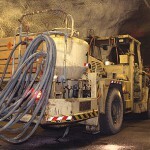 Fake mining magazines scamming money from companies in resources sector (0) June 16, 2014 Mining companies are being warned to do their research as a fake publishing company charges money for print ads in magazines which do not exist. 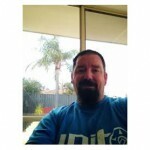 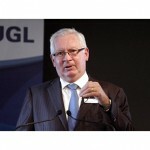 ​UGL appoints new CEO (0) June 16, 2014 Ross Taylor has been appointed as the new CEO and managing director of UGL. 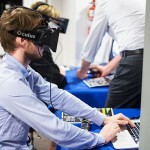 TAFE SA and SAGE Automation unveil training to bridge mining skills gap (0) June 16, 2014 The instrumentation course will open new career pathways for students in growth industry sectors from defence to mining and advanced manufacturing. 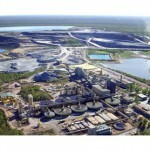 SSAB to acquire 51pct stake in G&G Mining Fabrication (0) June 16, 2014 Swedish steel maker SSAB has signed an agreement to acquire 51% of the shares of Perth-based G&G Mining Fabrication. 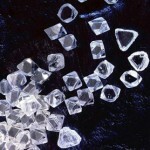 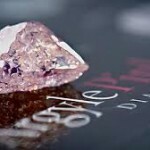 ​Hardest ever fake diamonds developed (0) June 16, 2014 Scientists have created synthetic diamonds that are harder and more durable than natural diamonds. 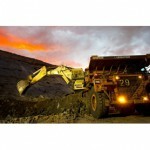 Thiess and Leighton Contractors to become global leaders, CEO says (0) June 13, 2014 Leighton Holdings has named the managing directors who will oversee its four new operating divisions in a sign the company is moving quickly to implement its restructure.